A property manager will have an at-least passing familiarity with their territory, including which neighborhoods are good, bad, or ugly. 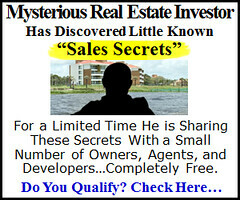 They’ll have techniques for helping you establish which of the available properties in their area might be the next best investment property for you, or what you might be able to do to ‘correct’ a property you’ve already purchased so that you can turn at least some profit from it, even if you made a somewhat poor initial purchase. This is actually a pretty complex process from the property manager’s perspective. Filling vacancies means marketing the property (creating and getting exposure for advertisements), showing it to potential tenants, screening those tenants to make sure that you don’t end up housing a criminal, and then getting them to hand over a deposit and sign a lease. –And then doing it all again whenever the current tenant leaves. Any property manager will make sure that the property is in full working order — that’s a state law. It has to be, or someone can get sued. But it takes a pretty dedicated PM to focus on their relationship with the tenant the same way they focus on the structural health of the homes. Open, prompt communication, just enough flexibility, and an emphasis on enabling the tenant all go a long way toward ensuring that they don’t really want to leave when their lease ends. Landlords have to deal with all sorts of laws and regulations –Fair Credit Reporting Act, Fair Housing, American Disabilities Act, required language in leases, security deposit laws, and more! Landlords are also one of the most liability-exposed kinds of entities in the country – tenants can file all sorts of lawsuits. A property manager makes it their business to know the laws and regulations, and to be prepared for the worst-case scenarios by doing things like documenting communications, retaining paperwork and knowing when to involve a lawyer to proactively address something before it becomes a bigger problem. All told, if you hire the right property manager, there’s not that much that you as the home investor will need to deal with — the right PM will be there to take care of everything but the signing of the final papers and deciding what to spend the rent on.